Dr. Barbara Firestone is the President, CEO and Founder of The Help Group. Widely recognized for her vision and innovation, she has dedicated her life’s work to helping children with special needs realize their fullest potential. With an impressive list of accomplishments, contributions to the field and honors, Dr. Firestone has created brighter futures for countless young people. Under her leadership, The Help Group has become the nation’s largest and most comprehensive nonprofit of its kind serving children with special needs related to autism spectrum disorder, learning disabilities, ADHD, developmental delays, abuse and emotional problems. The Help Group’s nine specialized day schools offer pre-K through high school programs for more than 1,500 students on seven campuses in the Los Angeles area. Highly regarded as a leader in the field of autism, The Help Group offers a wide range of innovative programs, including assessment, early identification & intervention, therapeutic services, life skills coaching, transitional programs, residential programs, parent support groups, day camps, after-school enrichment and social skills programs. Through its public awareness and outreach programs, graduate and post-graduate professional training, applied research, conferences and seminars, parent education programs, publications, and efforts at the state and national levels, The Help Group touches the lives of children with special needs and their families throughout the United States and in other parts of the world. Dr. Firestone has spearheaded The Help Group’s expansion efforts to open new doors of opportunity to serve the ever-growing number of children with special needs and their families. Her achievements include the major expansion of the Sherman Oaks Campus that now comprises five day schools, as well as the establishment of two new campuses in the Los Angeles area. The Help Group Autism Center is a state-of-the-art facility that houses an Intervention & Day School Center, a Research, Training & Conference Center and a Theater & Arts Complex. The Bridgeport Vocational Education Center provides a unique learning environment for young adults between the ages of 18 and 22 to develop and master the essential skills needed to transition from high school to adult independence. Most recently, Dr. Firestone oversaw the expansion of The Help Group’s Culver City Campus and the addition of a cutting-edge autism education building that will serve 200 more students. Dr. Firestone has played a key role in California autism public policy efforts. In 2009, she was appointed Chair of the Statewide Coordinating Council of Autism Taskforces of the Senate Select Committee on Autism & Related Disorders by the California Senate President pro Tem and Select Committee Chair, Senator Darrell Steinberg. In 2005, she was appointed Vice Chair of the California Legislative Blue Ribbon Commission on Autism. With a commitment to professional excellence, Dr. Firestone collaborated with Dr. Paul Satz of the UCLA Semel Institute seventeen years ago to launch The Help Group – UCLA Neuropsychology Program, which trains post-doctoral fellows in pediatric neuropsychology. In 2007, Dr. Firestone also collaborated with the UCLA Semel Institute to establish The Help Group – UCLA Autism Research Alliance. This Alliance is a unique and innovative endeavor dedicated to enhancing clinical research in autism education and treatment and to contributing to the development, greater understanding and use of best practice models by educators and clinicians. The Alliance is recognized as an important model of applied research and to date has undertaken more than 20 studies. To provide a lifeline of hope and support for families, Dr. Firestone wrote the highly acclaimed and award-winning book, Autism Heroes: Portraits of Families Meeting the Challenge, which became the subject of a one-hour television special. Recognizing the transformative power of the arts for children with special needs, Dr. Firestone has been committed to integrating the arts both in and out of the classroom and in the community. For example, she serves on the board for Music for Autism, a nonprofit organization dedicated to enhancing quality of life and raising public awareness through autism-friendly, interactive concerts developed specifically for individuals with autism and their families. The Help Group is proud to be the West Coast partner for Music for Autism. Dr. Firestone was a Doctoral Fellow in Communications Disorders at New York University and a Doctoral Fellow in Special Education at The University of Southern California, where she received her PhD. 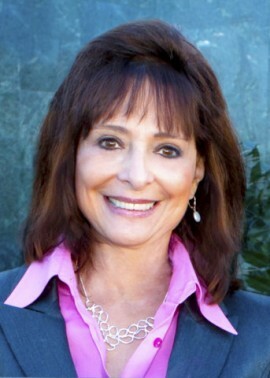 Dr. Firestone resides in the Los Angeles area with her husband David, and has two children and four grandchildren. All of Dr. Firestone’s efforts are grounded in her belief that dignity, hope, opportunity and love are the birthrights of all children.